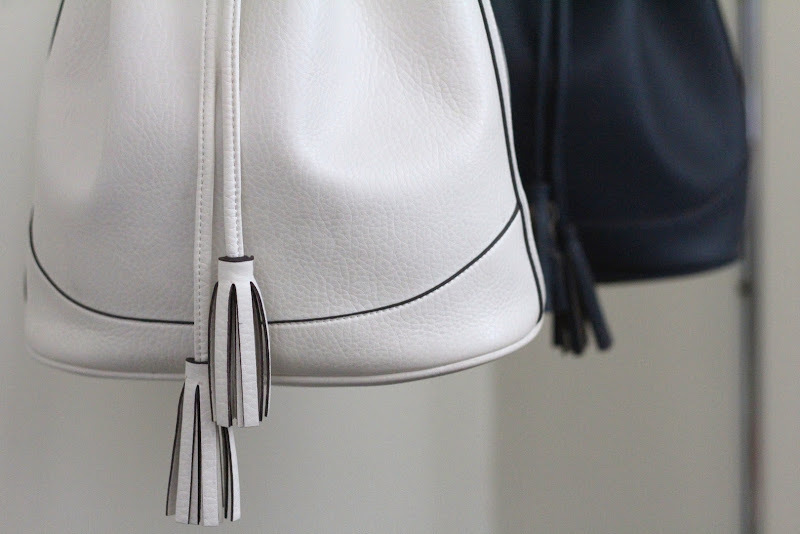 When I transition my wardrobe from season to season, I like to think about the handbag I’ll carry as well. For the summer, I used this white bucket bag from Old Navy and now I’ll head into fall using the navy version of the same bag. If you can’t tell, I’m totally in love with bucket bags. 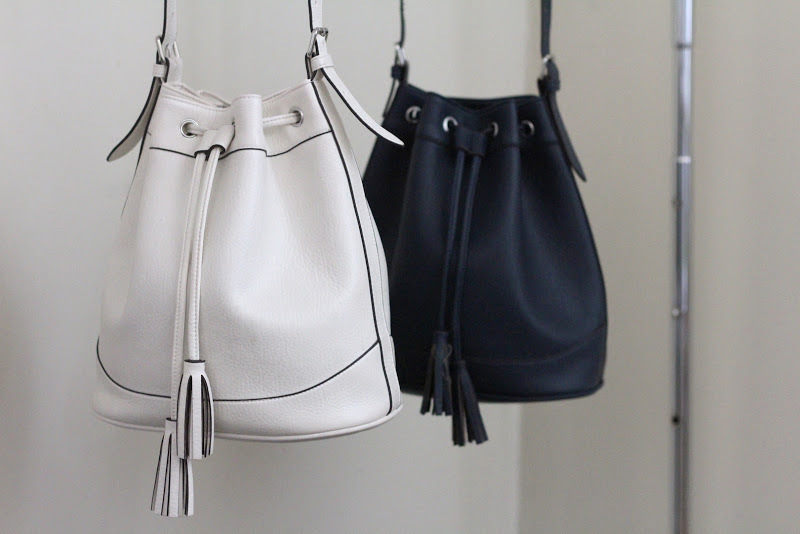 I blame it on the coveted Mansur Gavriel ones (mentioned before here) that I wish could splurge on, but just can’t. I know this style of bag isn’t new, but it peaked my interested in them again. 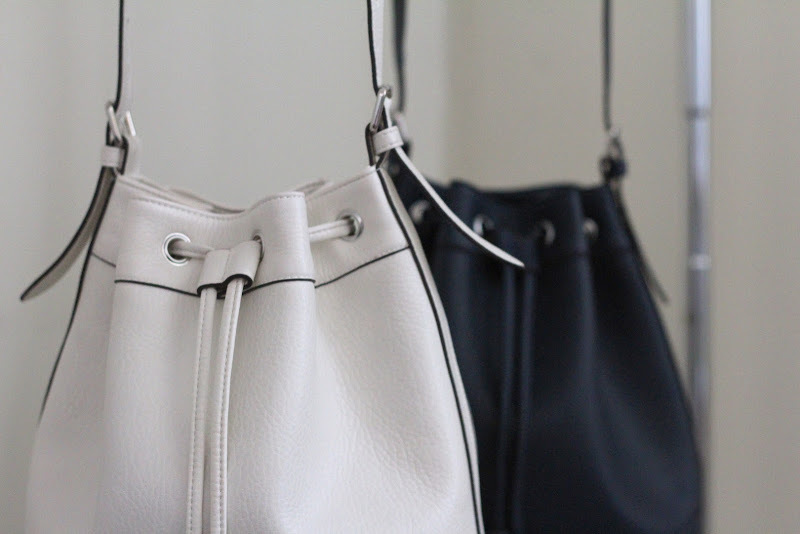 I was really sold on the structured shape, roomy interior and soft quality faux leather these bags have. I couldn’t be any happier to have found exactly what I need to carry all of my daily essentials and more.